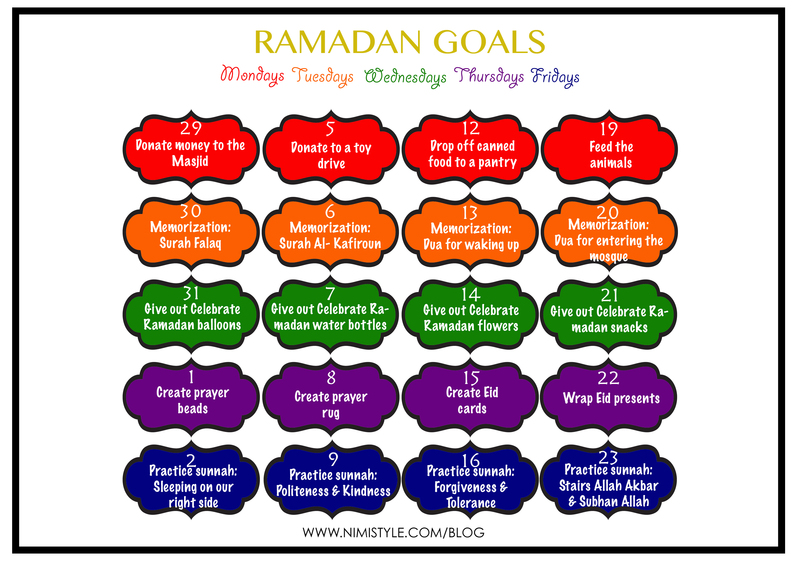 Last year my daughter came up with a list of Ramadan goals she could work on throughout the month. This year i set some goals for her on my own. With a very active toddler at home, we would have gotten zip done if i tried to sit down with her and set some goals. I did review them with her after and asked if she wanted to make some changes. We refined them like last year into categories that will hopefully make it easier for her to understand the benefit and good that will come from each goal. Aside for the task listed we will spend the day focusing on the “5w1h”- Who, what, when, where, why, & how to get the most understanding of these actions.